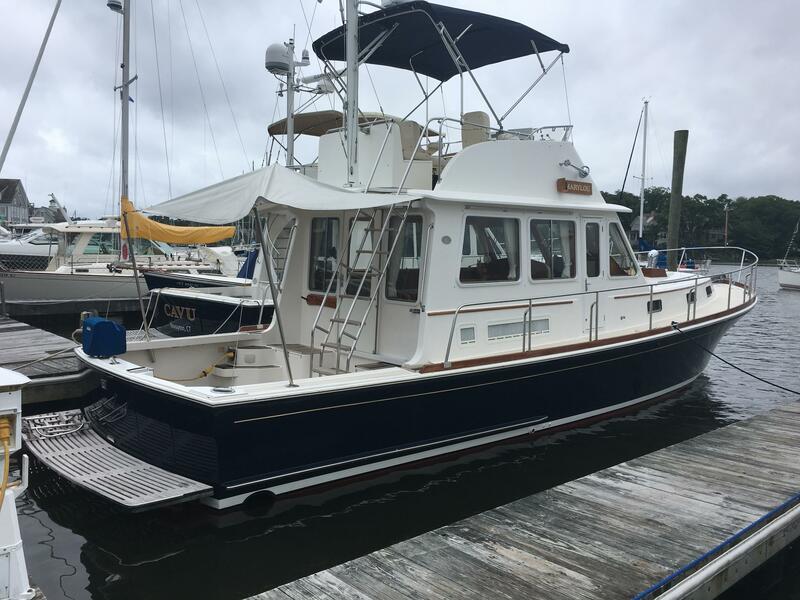 The Eastbay 43 is one of the most popular & finest built "Down East" styled yachts on the market today. 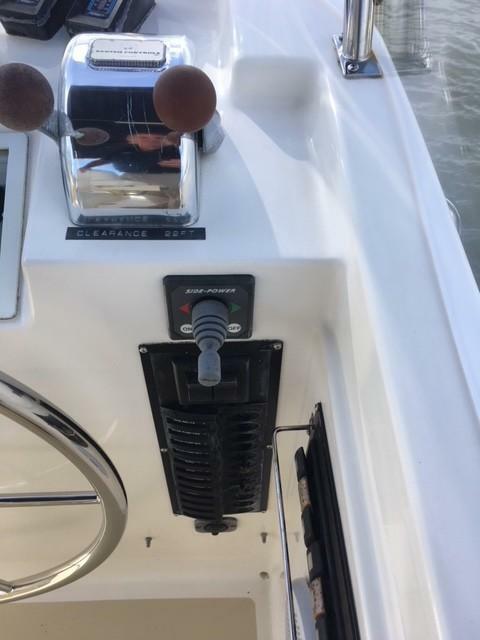 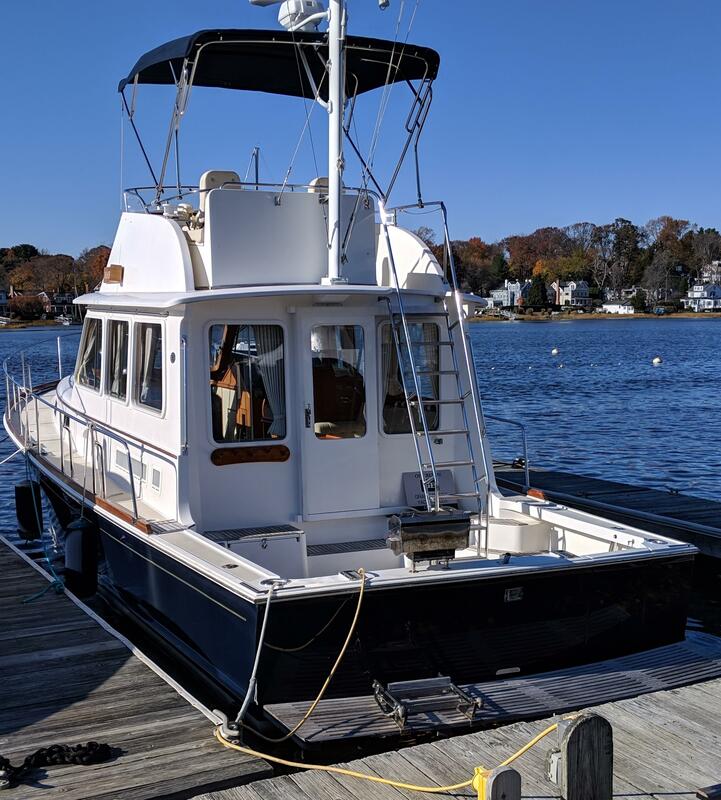 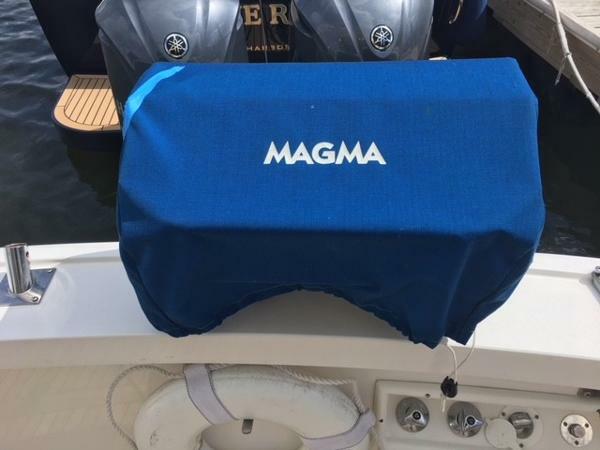 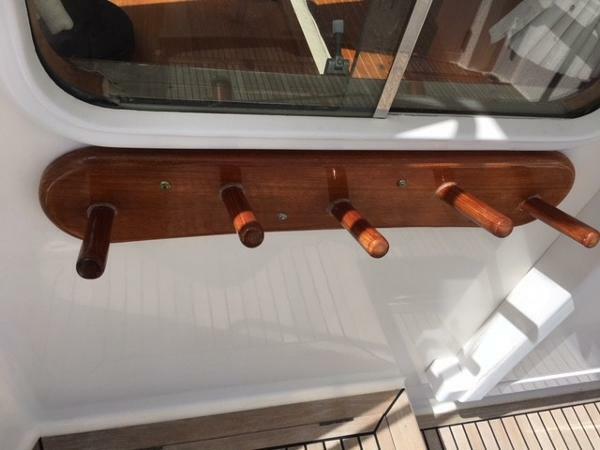 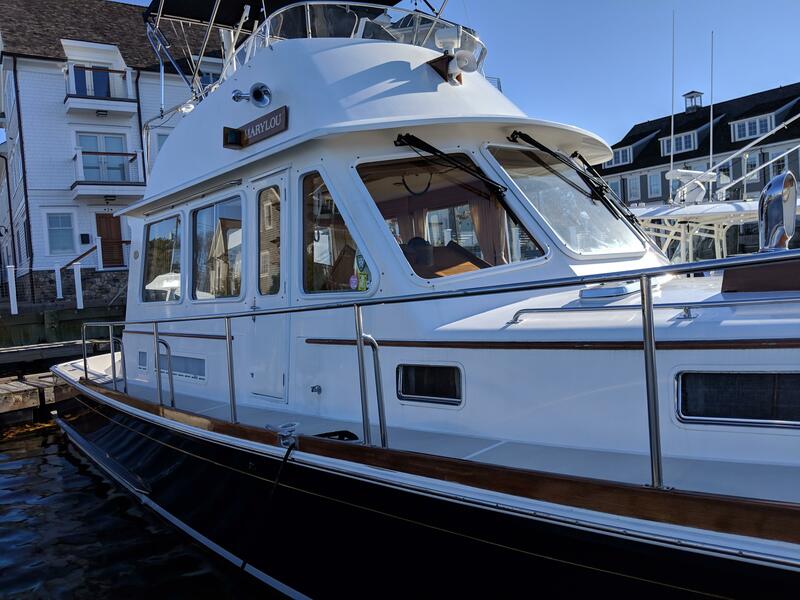 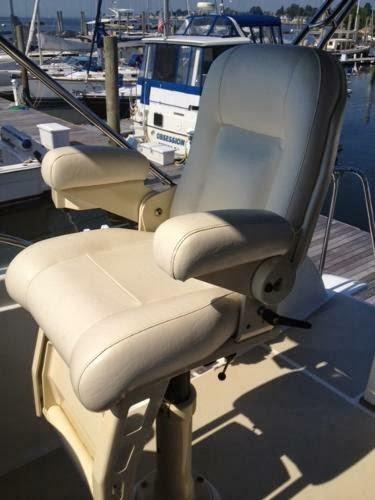 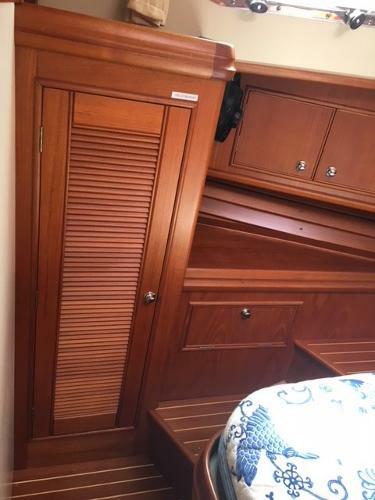 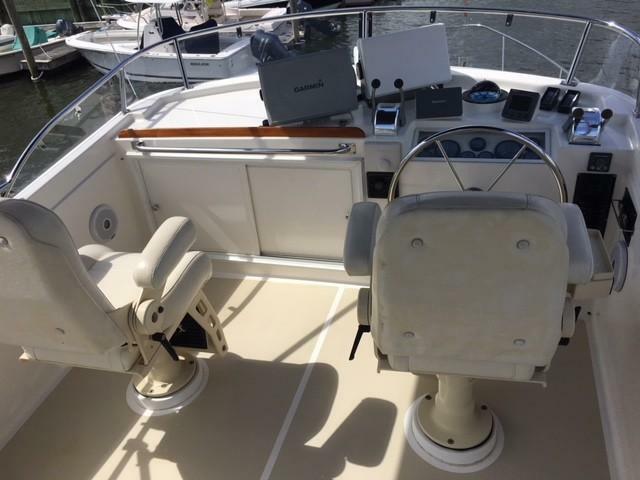 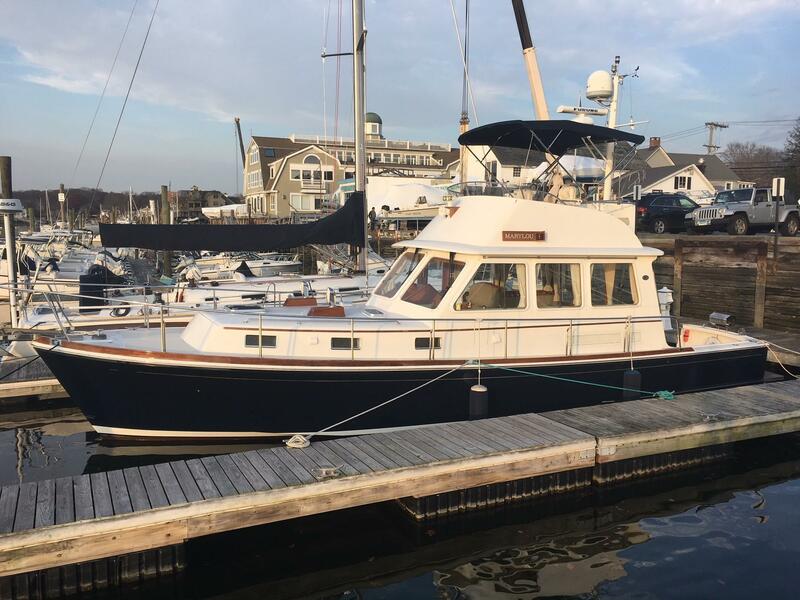 "MARYLOU" is a fine example of a knowledgeable owner who has taken the time and care to outfit this yacht with top notch equipment and interior furnishings. 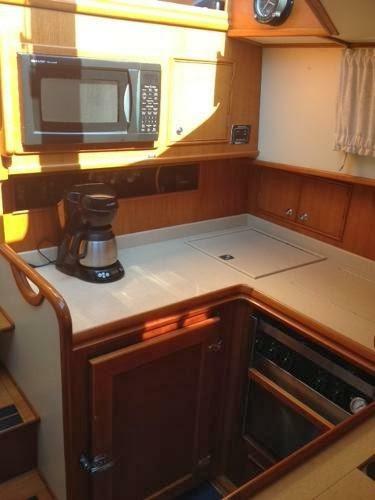 The interior is two staterooms with split stall shower, a down galley, twin settees in the salon, built-in helm seat and entertainment left. 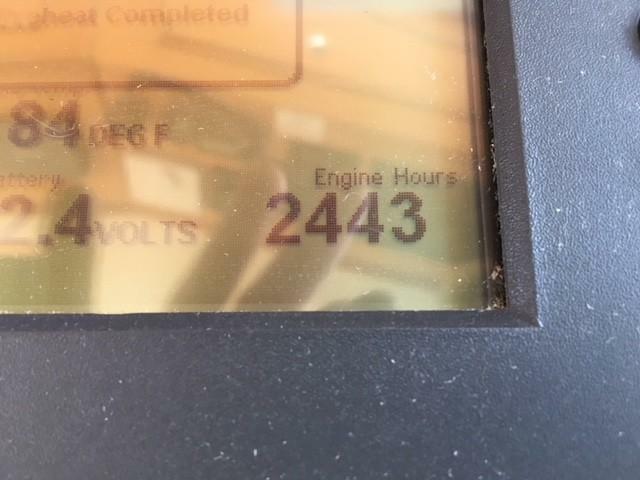 Power is provided by CAT 3126 420hp diesels. 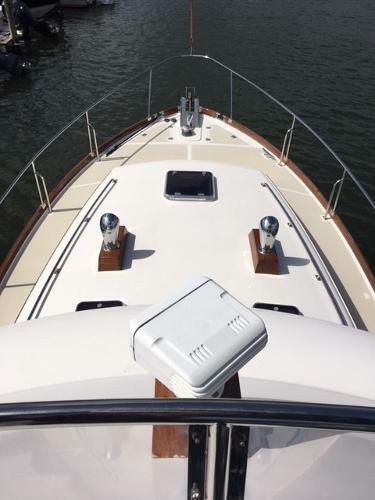 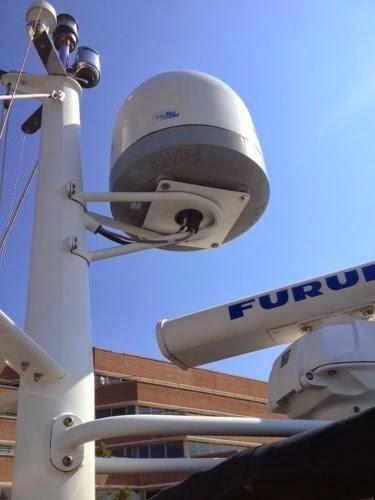 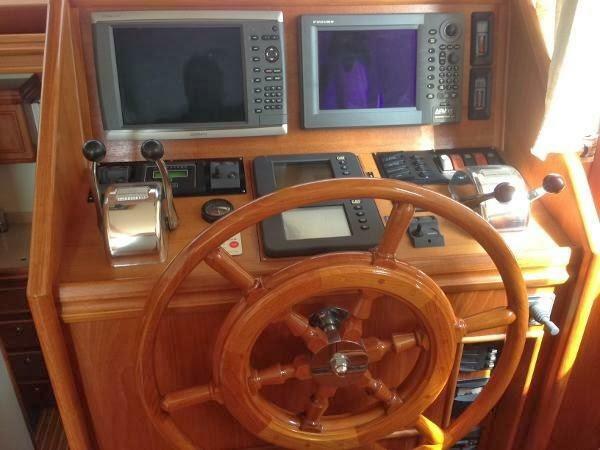 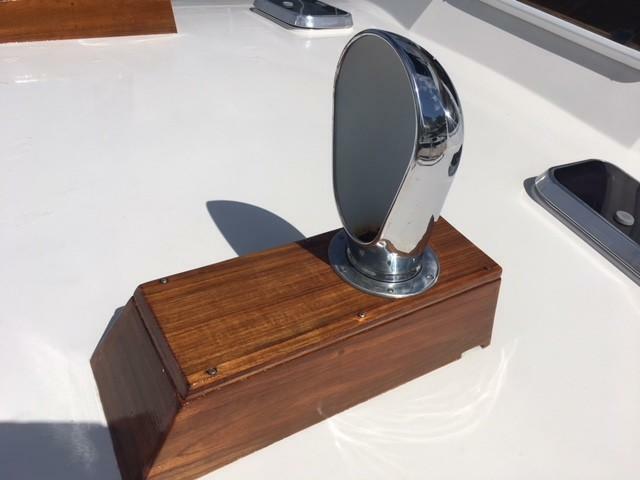 Electrical power is provided by a Onan 5kw generator Bow thruster, windlass and much more. 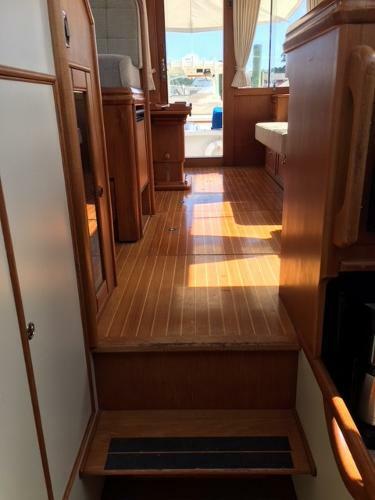 Walking through the aft sliding entry door you arrive in the main salon. 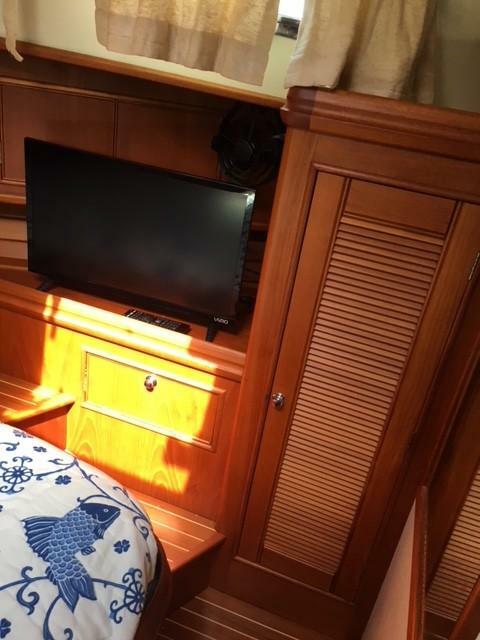 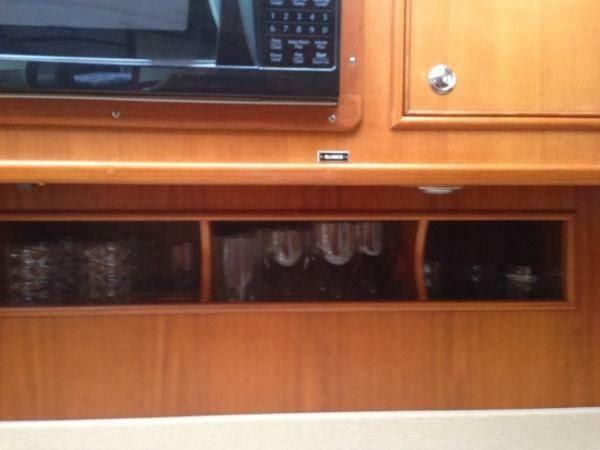 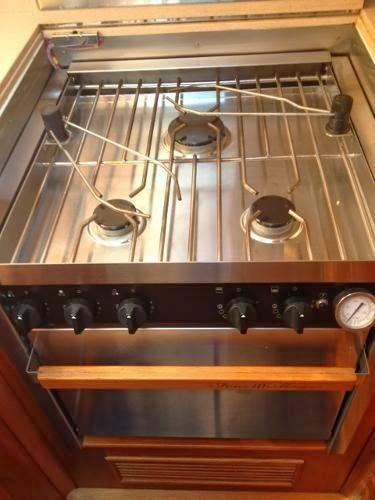 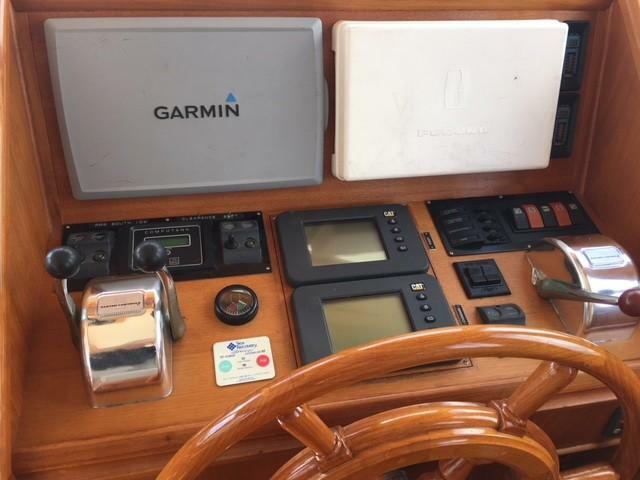 To port you'll find and entertainment left with flatscreen TV, DVD & VHS player and stereo system, a straight settee, end table/book case, Eastbay chair and chart table/serving bar. 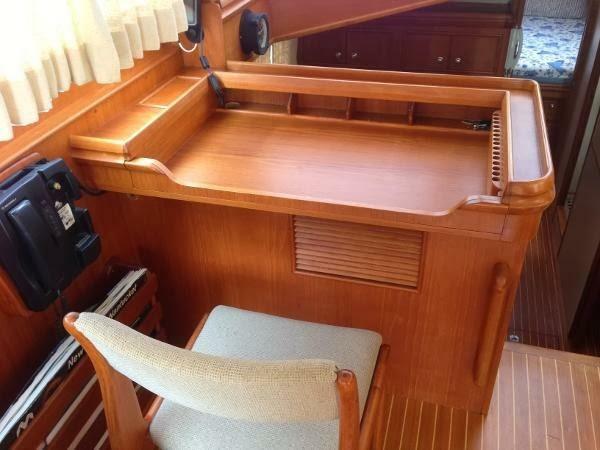 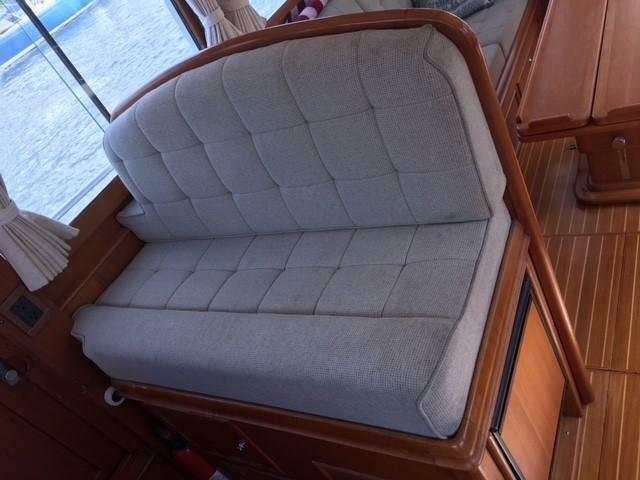 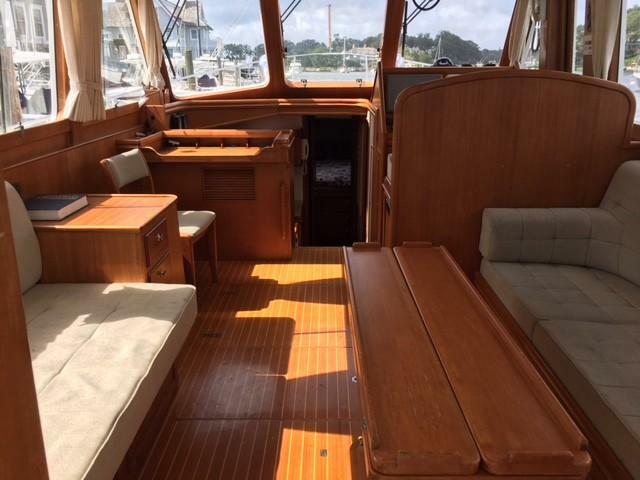 To starboard is an L-settee with a teak hi-lo yacht table, built-in helm seat and the lower helm. 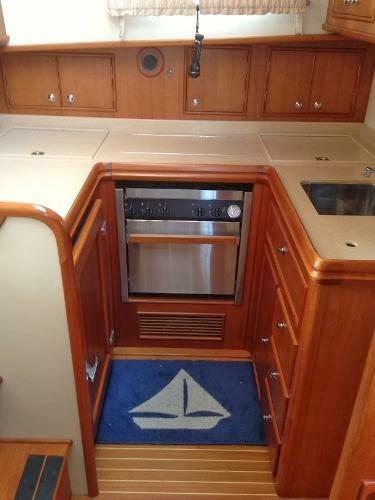 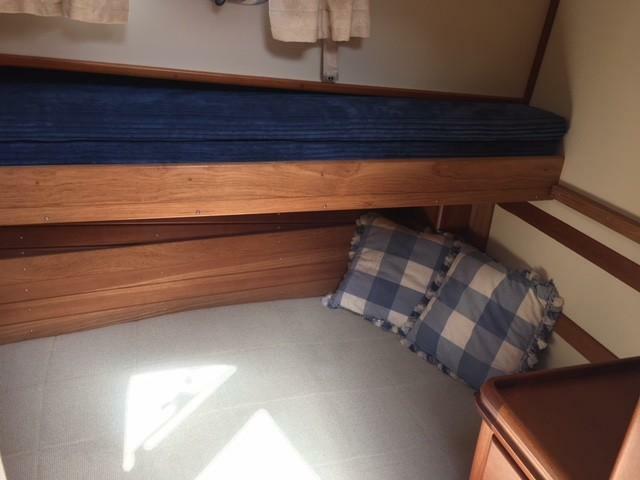 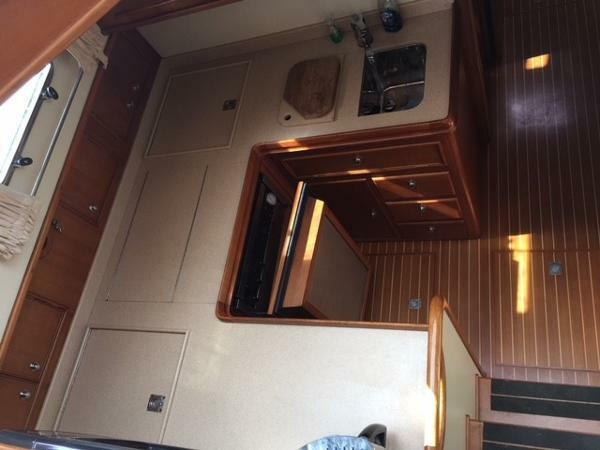 Down a few steps is the port side down galley and across to starboard is the guest cabin with twin upper & lower bunks. 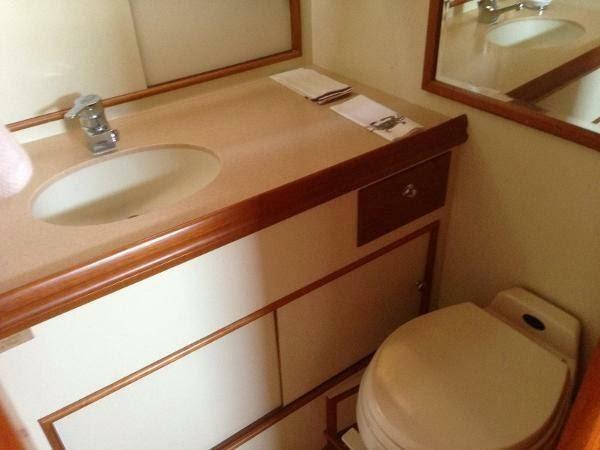 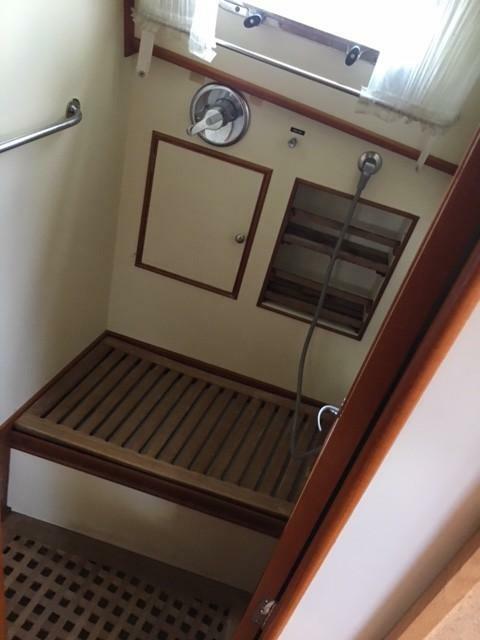 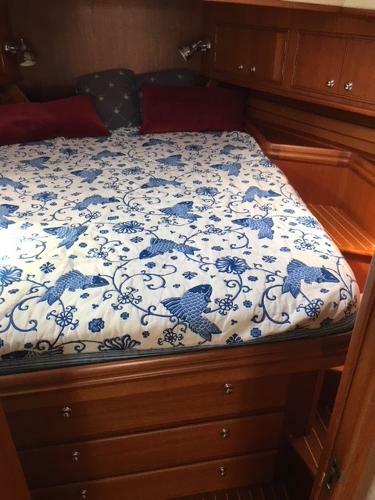 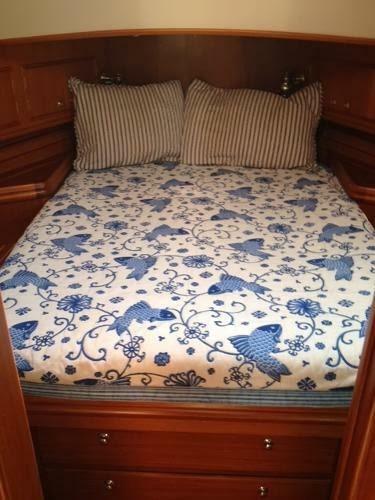 Forward is the split head & shower and then the forward cabin which offers a left island queen berth, custom made mattress and an entertainment system that includes a flatscreen TV.